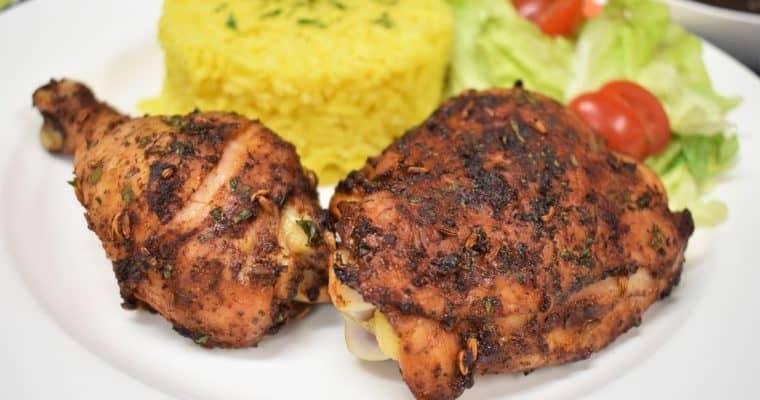 This spicy baked chicken is an easy recipe that you can put together in just a few minutes. The rest is hands-off. Once seasoned, the chicken sits in the refrigerator getting all flavorful. Then, it’s baking time, about 1 hour to a juicy and delicious chicken dinner. With only 4 ingredients, this dinner is budget friendly and no-fuss too!